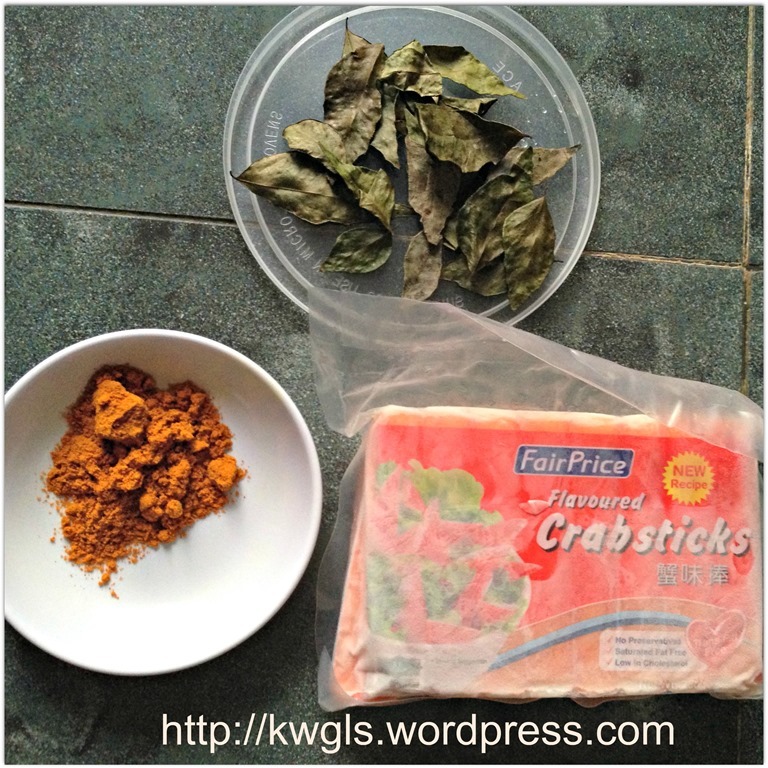 My East Malaysian relatives visited me last week and gave me a plastic bottles of these crispy crab meat that she bought from her Malay colleagues.. It was RM 3 per bottle, kids loved them and can’t have enough of them… They are fighting for the very last piece they have.. 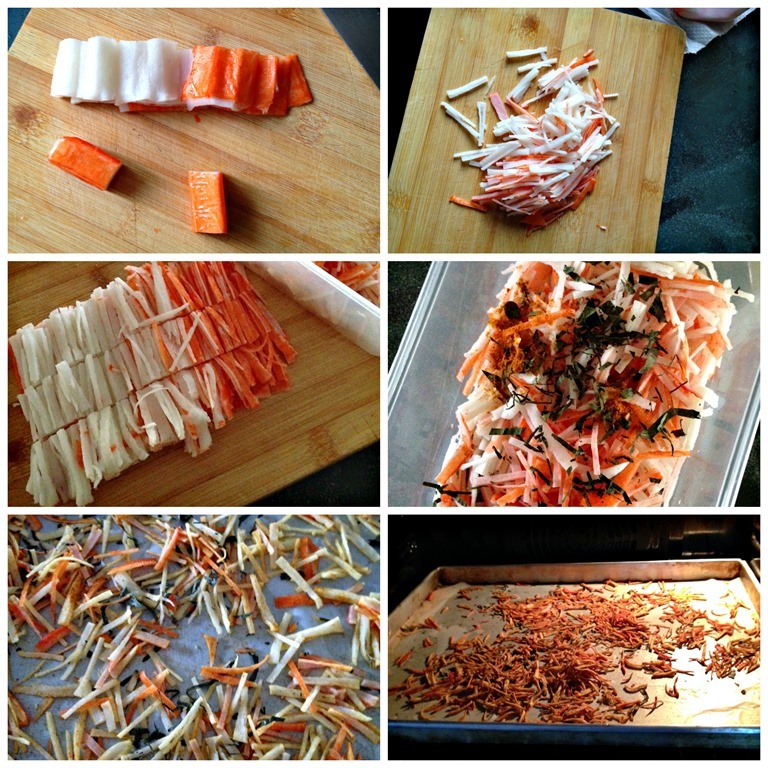 I gave it a try and promised them that I will replicate this for them..
Cut the crab sticks into about 2 cm length..Roll it out and use a knife to slice it as thinly and as EVENLY as you can. 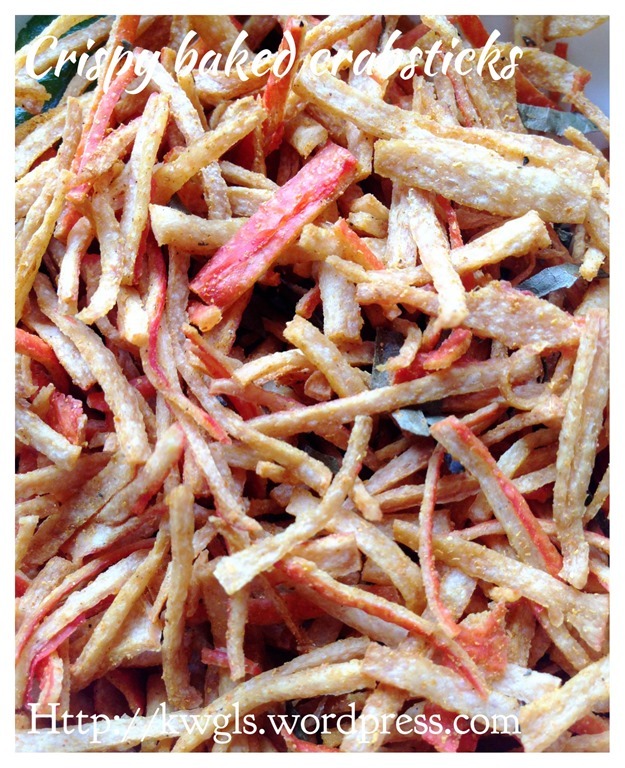 (Uneven crabstick will make some of the crabstick become crispy but some are chewy). 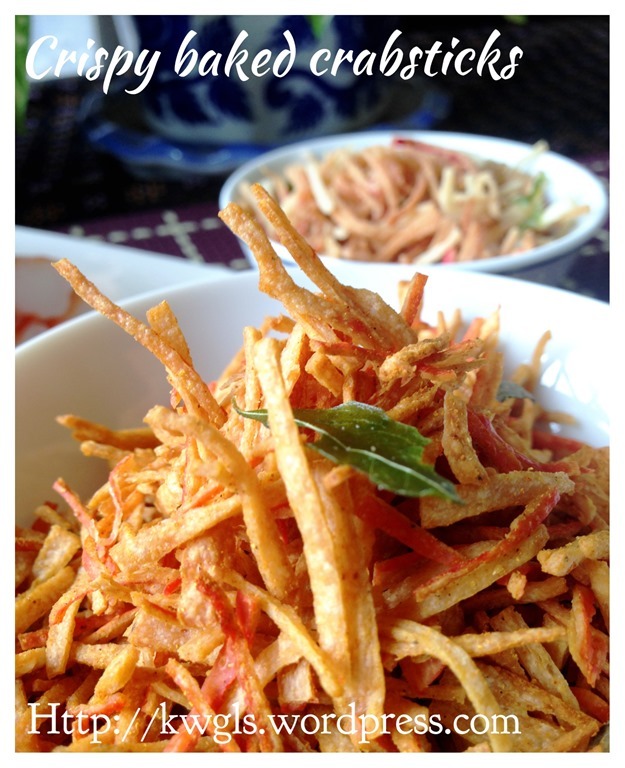 Put it in a plastic box, add the curry powder and add in chopped curry leaves. 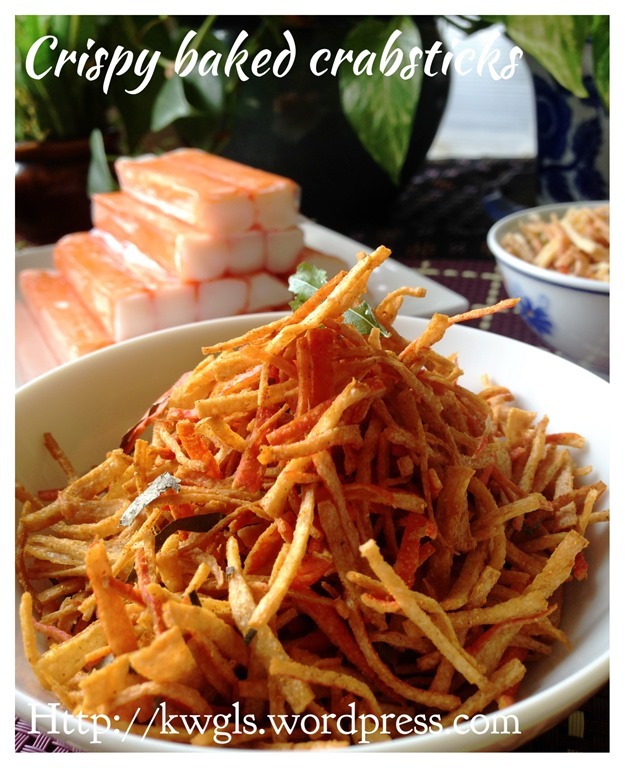 Close the lid of the plastic box and shake until the chopped crabstick are evenly coated with curry powder. Transfer to the baking tray as evenly as possible. 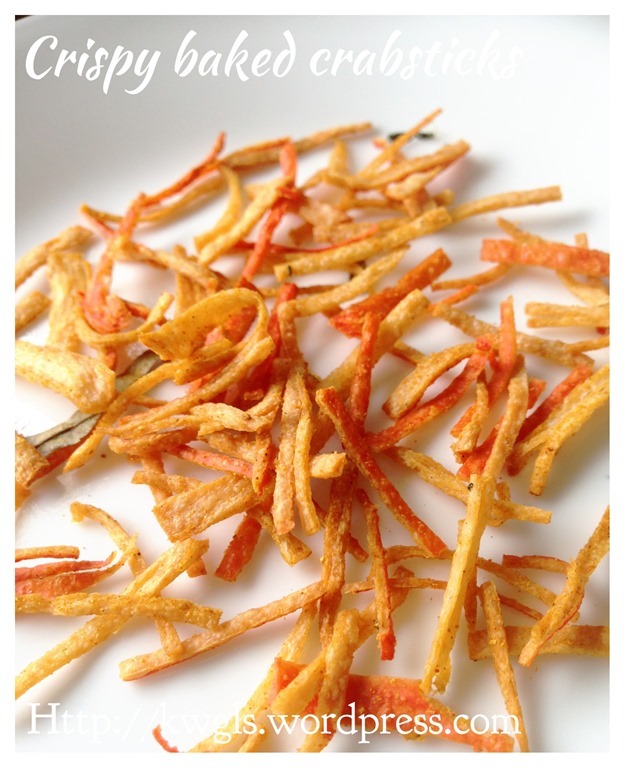 Bake in the pre-heat oven of 100 degree Celsius until your desired crispiness. Occasionally, give it a stir to ensure even baking. 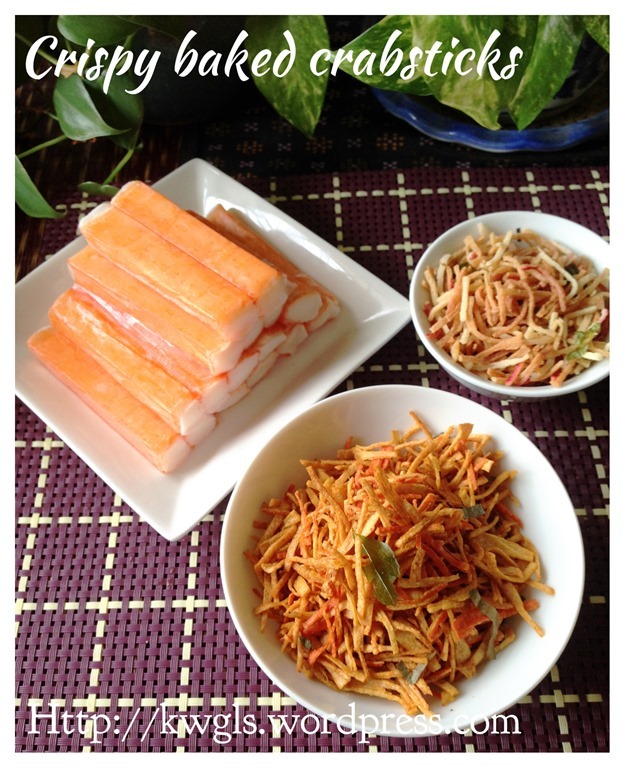 Baking time will depend on the size of the chopped crabstick. For this illustration, it took about 30 minutes. Store in an air tight container when cooled completely. This is a nice snack and I will endorse an occasional indulgence. 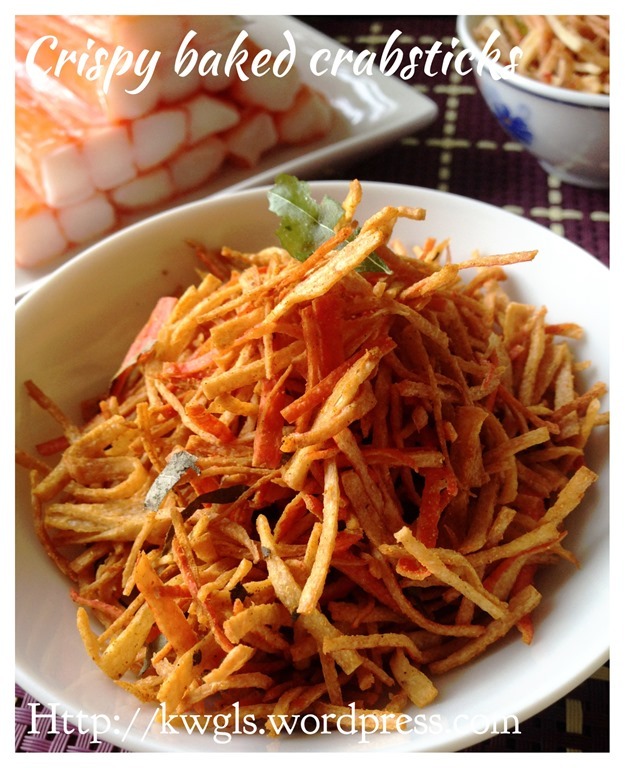 It is especially good to serve to house guest during Chinese New Year or other major festivals. Remember that you can always do it using air fryer but I can assure all that deep frying using low to medium heat is the fastest and the most aromatic.. It is up to readers to decide base on your health objectives. 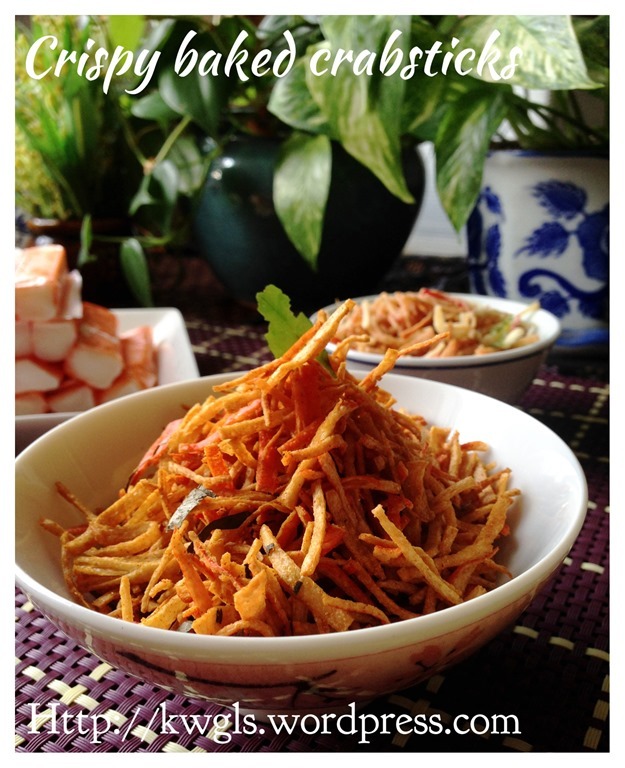 This recipe was included in Page 45 and Page 46 of the following E-book. 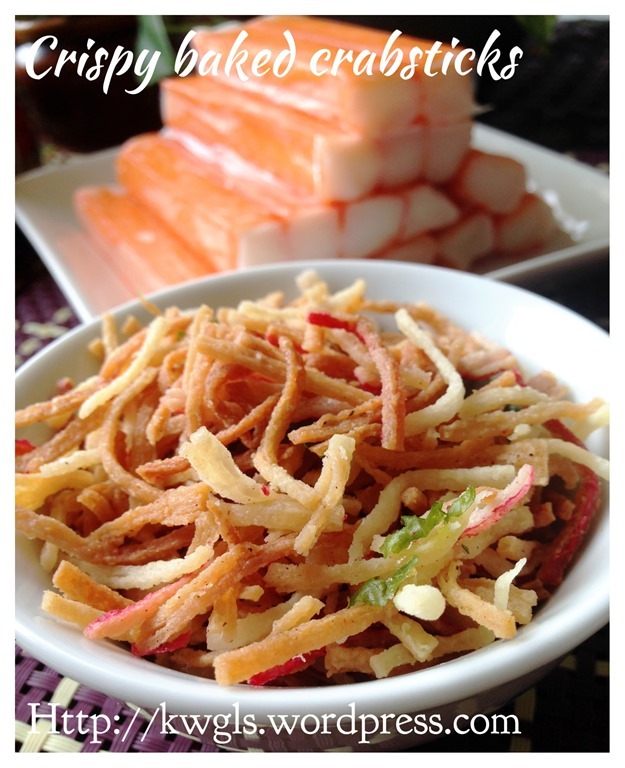 This entry was posted in Chinese and Asian Cakes and Snacks, Food Preparation Series, Snacks and tagged Chinese New Year 2014, Christmas 2014, Crispy Crabstick Snack, 酥脆蟹肉小吃, GUAI SHU SHU, Guaishushu, kenneth goh, postaday. Bookmark the permalink. 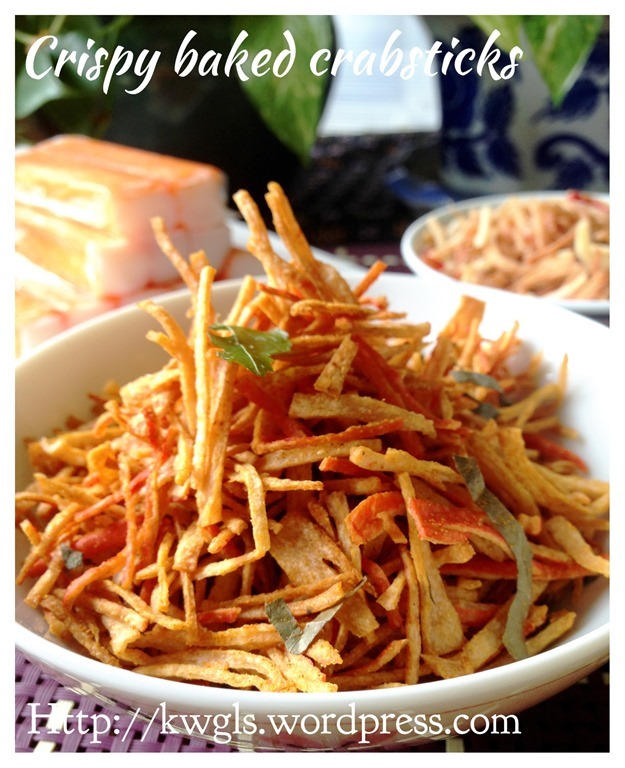 Hi shifu…how long can I store the crab sticks after airfry in an air tight container? I am unsure and I think 1 month should not be a problem if it is properly baked.